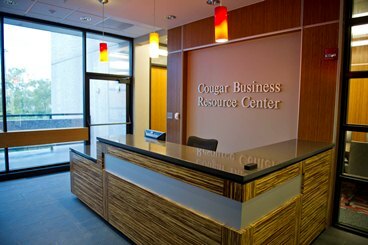 The Cougar Business Resource Center (CBRC) is a space dedicated to current business students. The CBRC offers students a place to study, collaborate on group projects, practice presentation skills, conduct research and more. Students have access to the latest technology, as well as learning resources.